Also finished my Astronomy course assessments today, and I passed, so hopefully by next week I’ll have my final results and certificate of achievement. Interestingly I’ve noticed that since doing this course I’m using a lot more space analogies in my story. Yesterday I likened something to a pulsar; today to a black hole. Yesterday we had a tiny tornado touch down somewhere near the Melbourne airport. Melbourne weather is crazy at the best of times, but yesterday managed to pack every season into the space of two hours. One moment we’re receiving Bureau of Meteorology warnings to take shelter, a tornado is coming (they aren’t meant to happen so far south of the equator); half an hour later, no exaggeration, it was hot and humid and sunny. It made for some fascinating cloud formations. We have a saying here, “If you don’t like the weather, look out a different window.” It proved to be very true yesterday. There’s a popular instagram hashtag, #melbourneweather, which often shows the absurd flip-flopping of our local climate here. 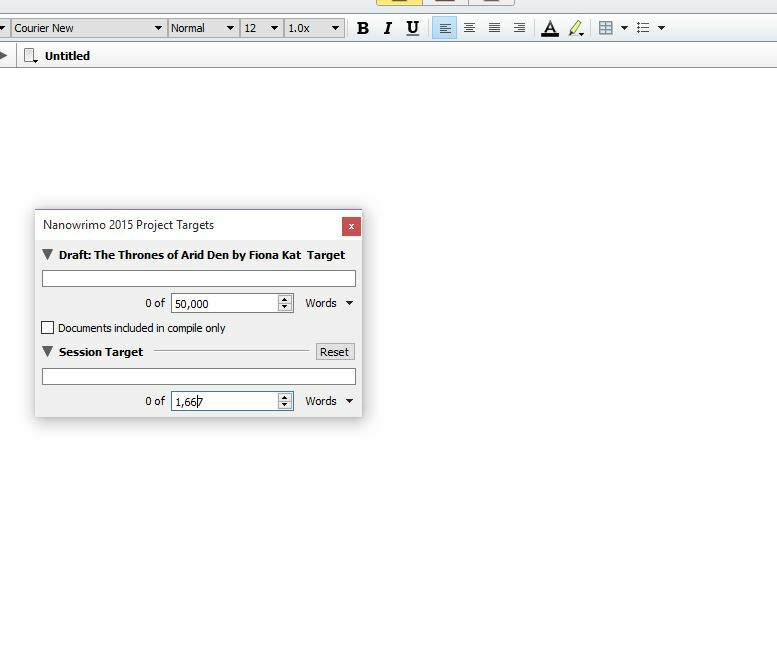 Current word count: 11,203 words. 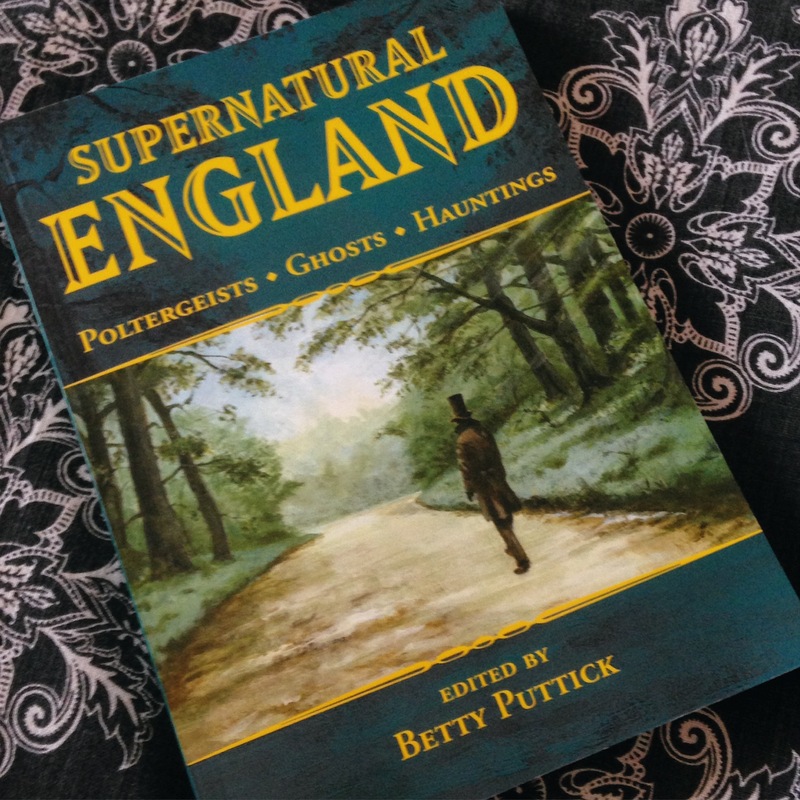 Today’s writing soundtrack: the sound of two cats snoring in the clean washing pile. 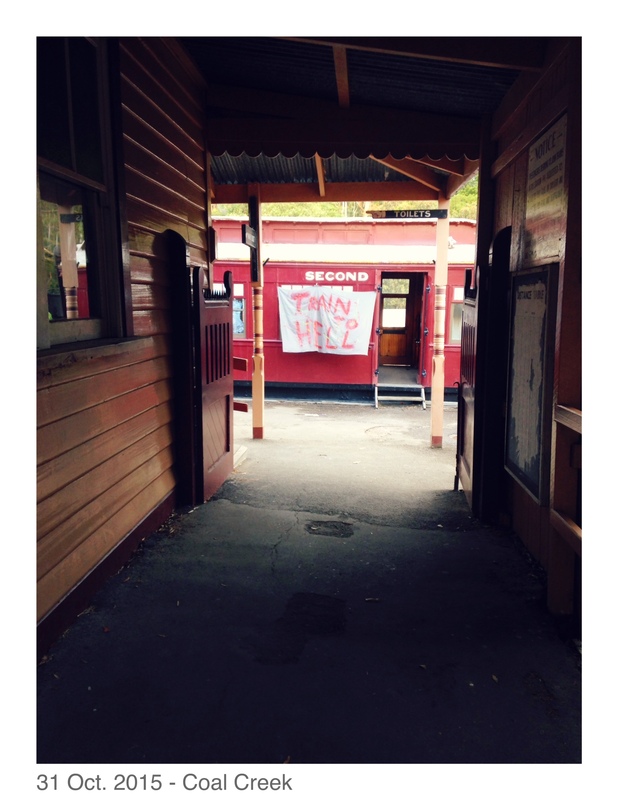 So many Melbournians shared this picture yesterday that I had to share it, too. I have no idea who made the original post. 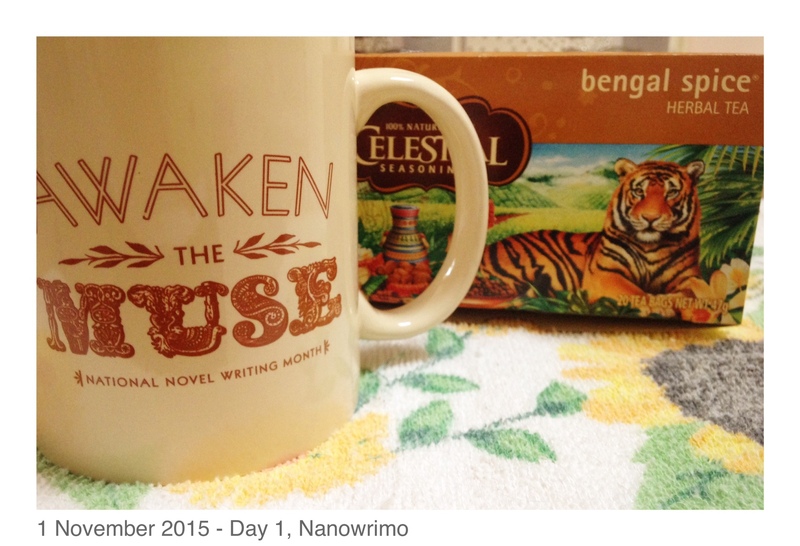 Posted in nanowrimo, writing and tagged creative writing, journal, melbourne, melbourne weather, musings, nanowrimo, nanowrimo 2015, writing on November 6, 2015 by Fiona. 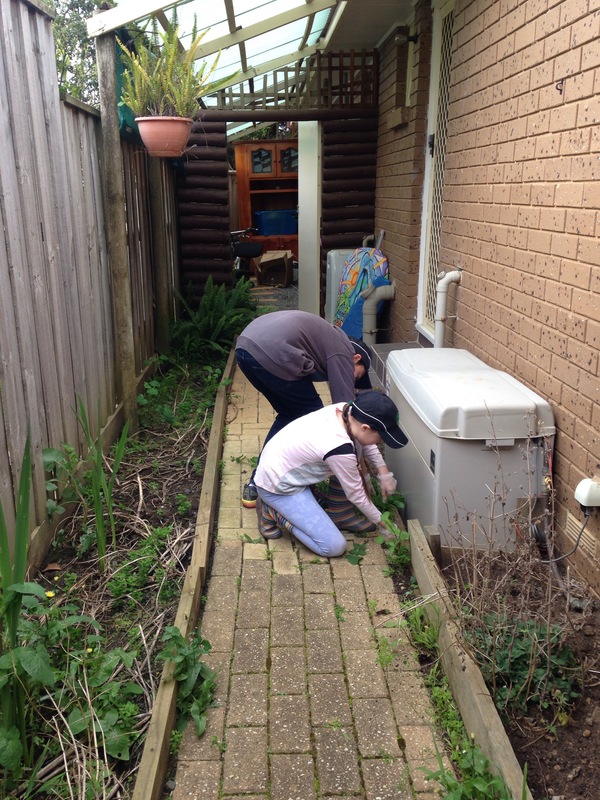 12 September 2015 – The kids helping with a neglected section of the garden. 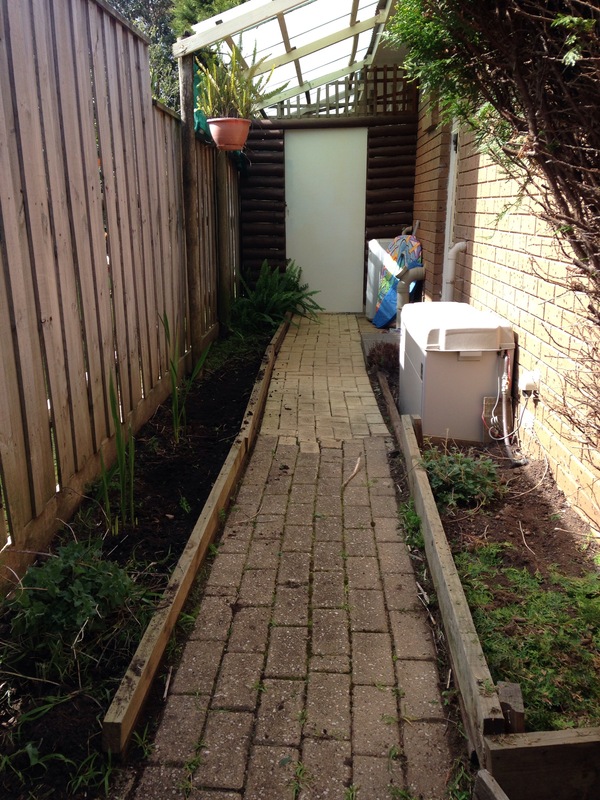 12 September 2015 – Getting the kids to help really improved the appearance of the garden. 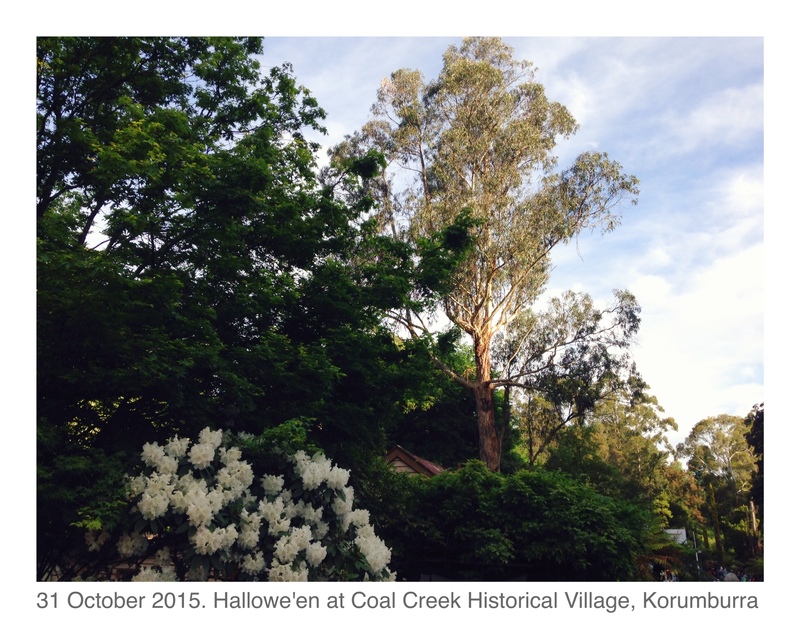 12 September 2015 – late afternoon sunshine through the apricot trees. 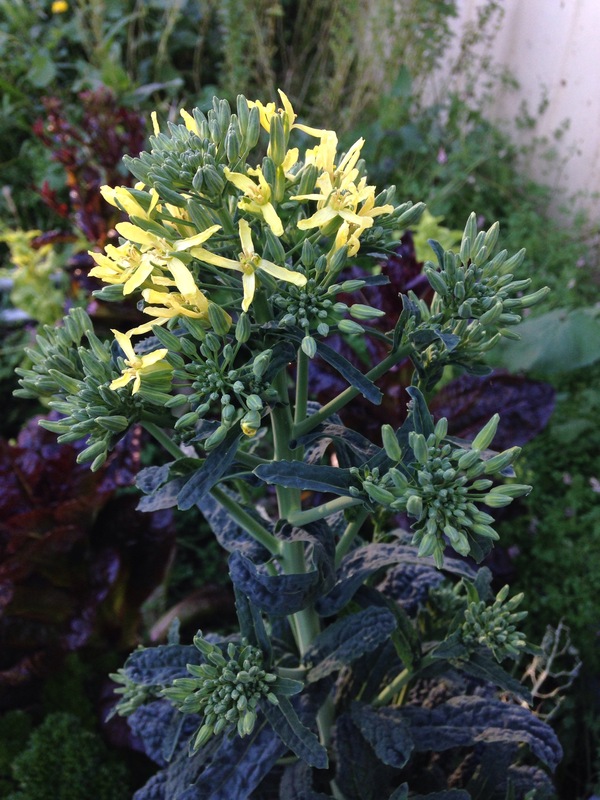 12 September 2015 – Flowers on the Tuscan kale. 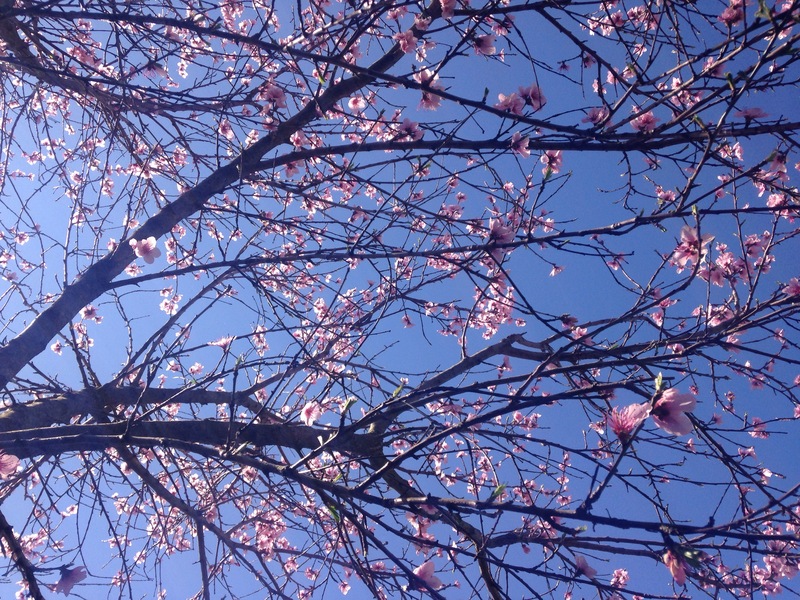 14 September 2015 – Apricot blossoms. 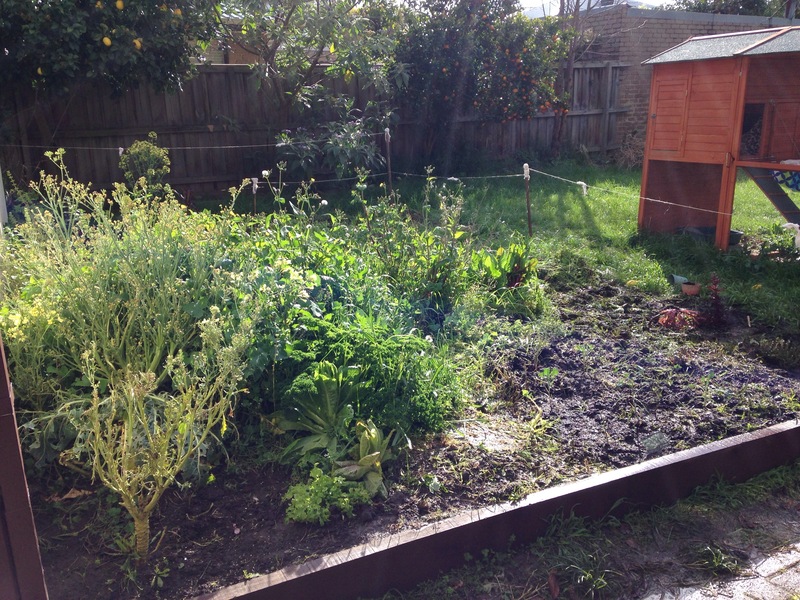 14 September 2015 – The weeds have overtaken the veggie garden and it’s going to take a lot of hard work, digging and planting to tidy it up. 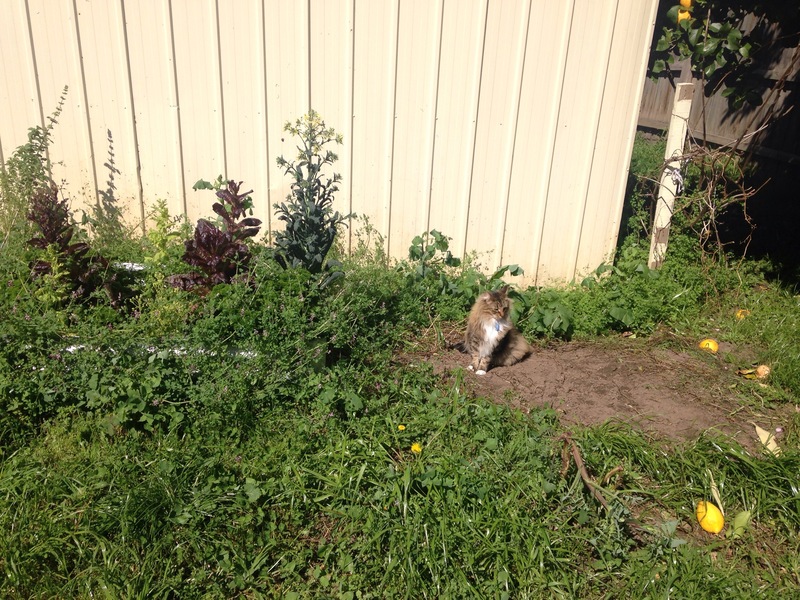 The kids cleared the patch of soil that our cat Riker decided was for him. 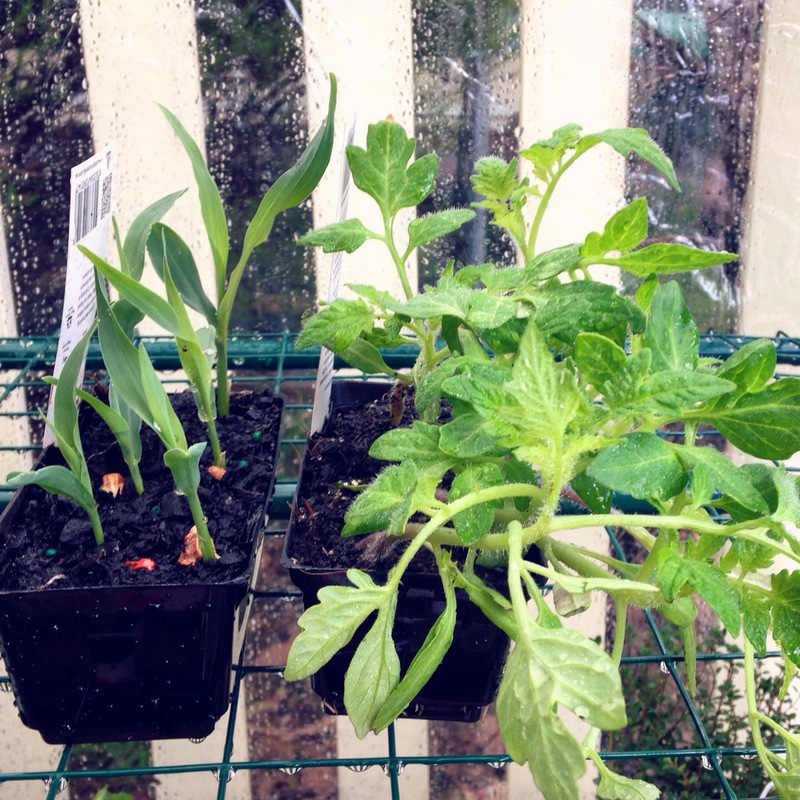 16 September 2015 – Sweet corn and tomato seedlings in the mini-greenhouse waiting to be planted. 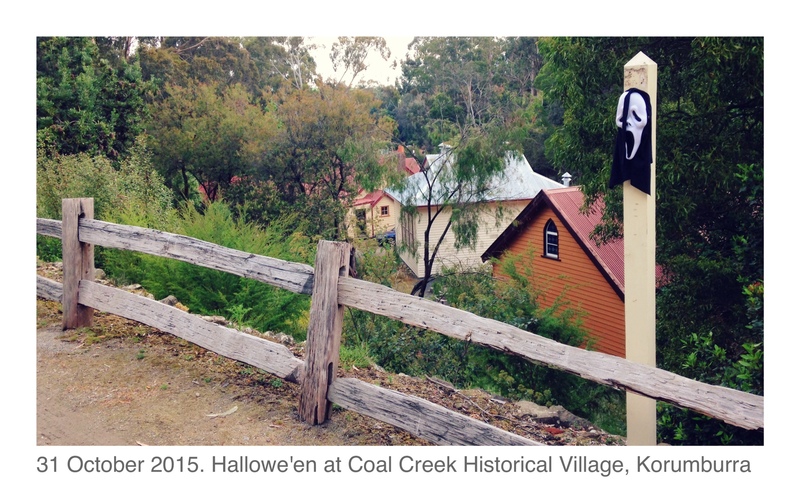 17 September 2015 – Writing labels to remember where I’ve planted out the seeds. In September I planted 1,500 alyssum seeds. I may have gone overboard, but I just love those little flowers. They remind me of my grandparents’ garden. 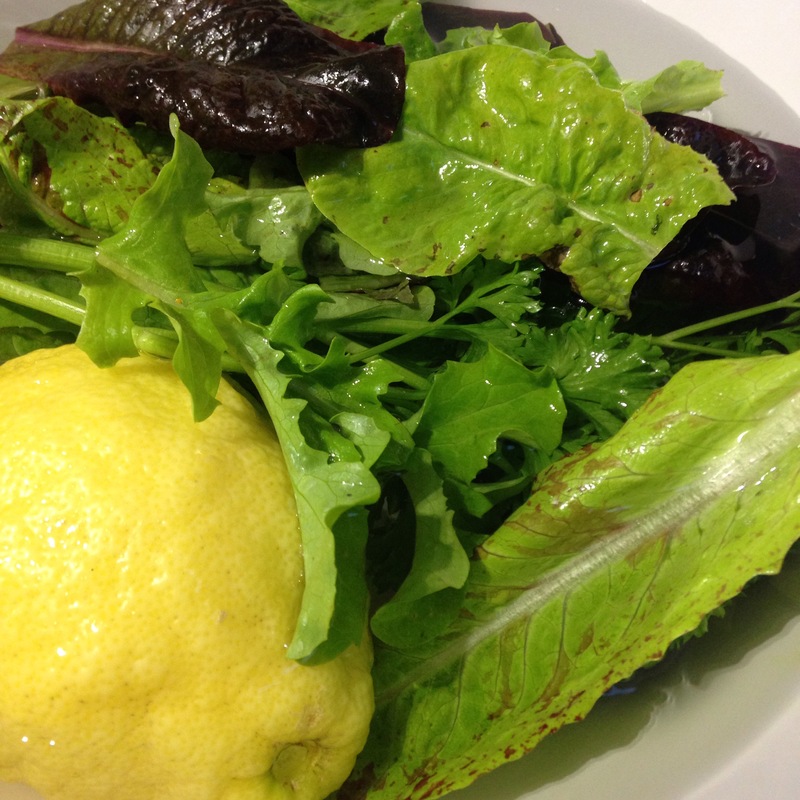 18 September 2015 – We had a salad made from homegrown veggies. All of the ingredients shown here were picked out of the garden half an hour earlier. 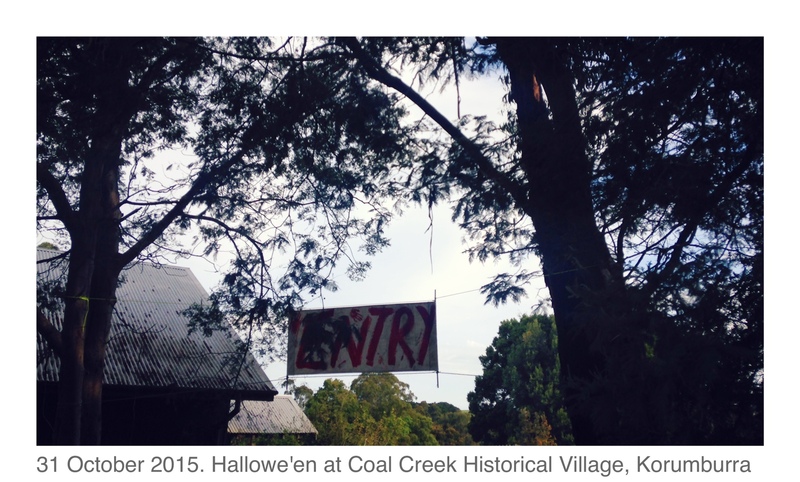 19 September 2015 – We live at a rental house. Our landlords clearly loved their garden while they lived here (we’re the first tenants they’ve ever had) – but it seems that they never thought to plant a single native plant (they’re migrants from Europe and I think the plants they liked must’ve been the ones that reminded them of home!). 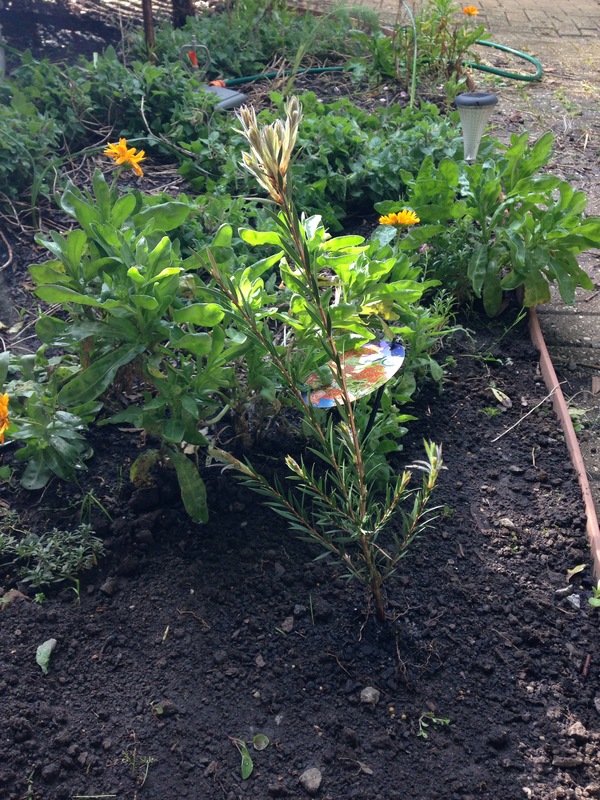 Here is a small callistemon (bottle brush) that I planted. They produce lovely big red flowers that attract native birds. 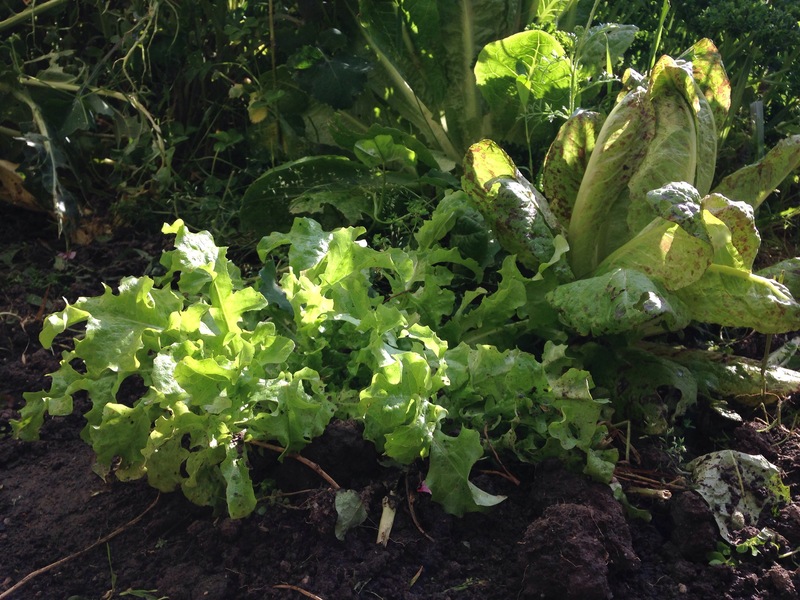 19 September 2015 – after clearing away some weeds in the veggie garden I uncovered some lettuces, parsley and tiny strawberry plants. 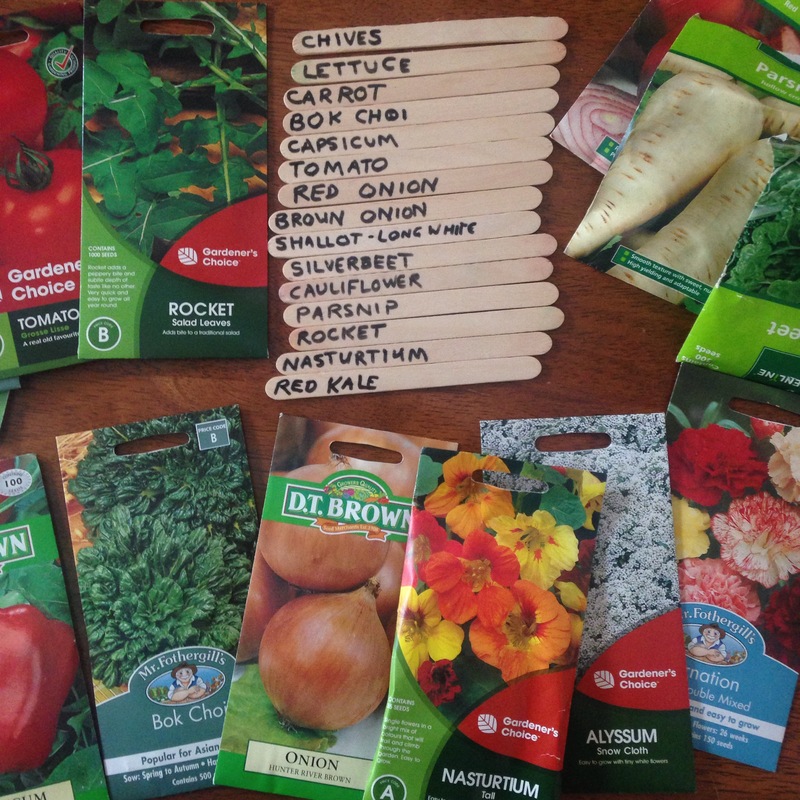 19 September 2015 – I planted out the sweetcorn and tomatoes. 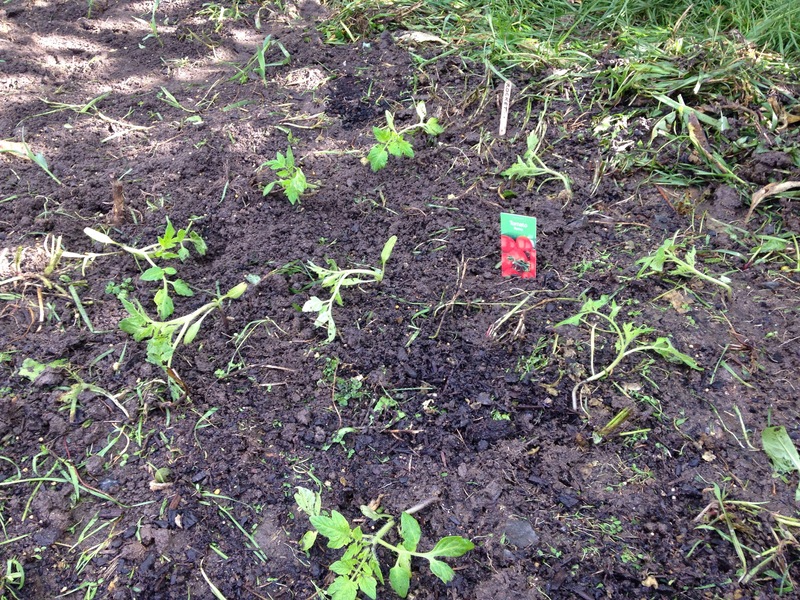 I also scattered tomato seeds around the weeded sections of the garden. 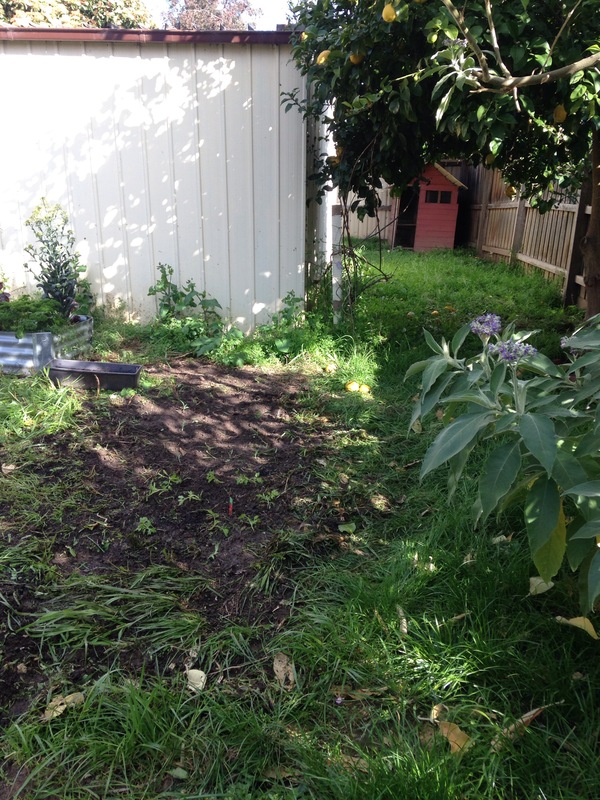 19 September 2015 – having tidied up a lot more of the veggie garden, I scattered around some onion, nasturtium and chive seeds. 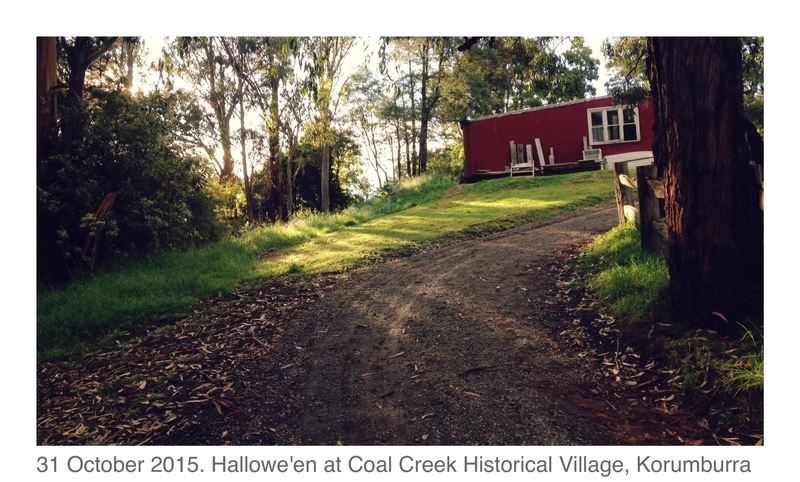 23 September 2015 – I hammered in some stakes and sectioned off the veggie garden. Now The Husband knows where to mow and he hopefully won’t run over the veggie seedlings! I also find that the line makes the garden look a lot more deliberate. Rather than being a haphazard collection of weeds and veggies, it makes it clear that it’s a garden bed in progress. 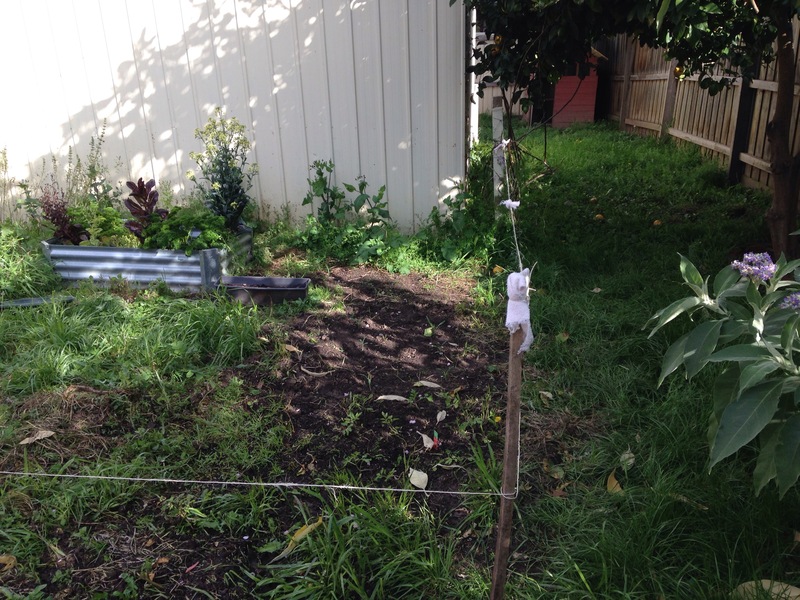 23 September 2015 – A much tidier-looking veggie garden. The cat run is to the right. The cats get most of their outdoor time inside the run. This is partly to keep them safe, as well as to protect the wildlife. Domestic cats wreak havoc on Australian native animals and birds. In the foreground of the veggie garden are some massive cauliflowers I grew from Aldi-brand seeds that my grandmother gave me. 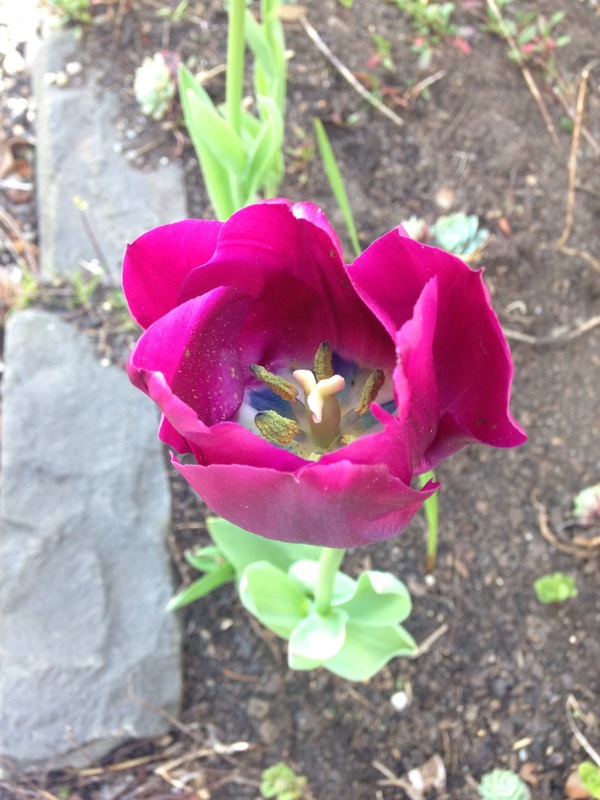 Posted in flowers, garden and tagged australia, flowers, garden, homegrown, melbourne, photography, september 2015, spring, tulips, vegetables on September 27, 2015 by Fiona. This weekend marks the first warm spring weather we’ve had in Melbourne, Australia. 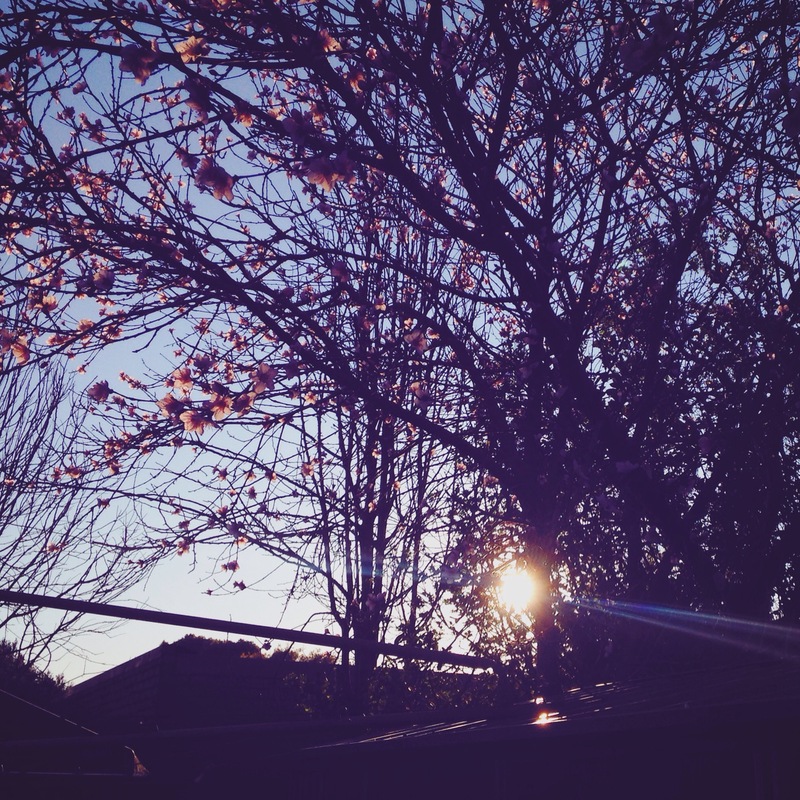 I love the lengthening days and the way the late afternoon sunshine glows through the apricot blossoms. 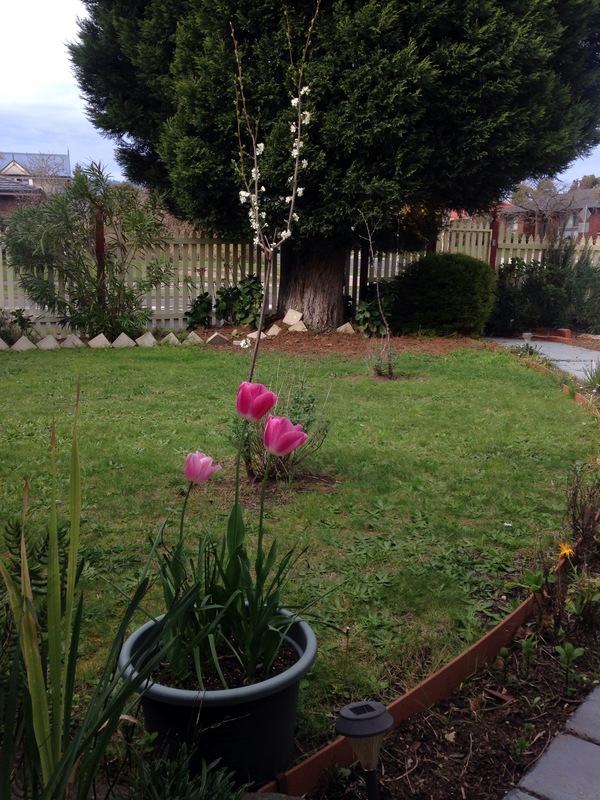 Posted in flowers, garden, photography and tagged apricot, australia, flowers, garden, melbourne, spring, sunset, tree, victoria on September 13, 2015 by Fiona. 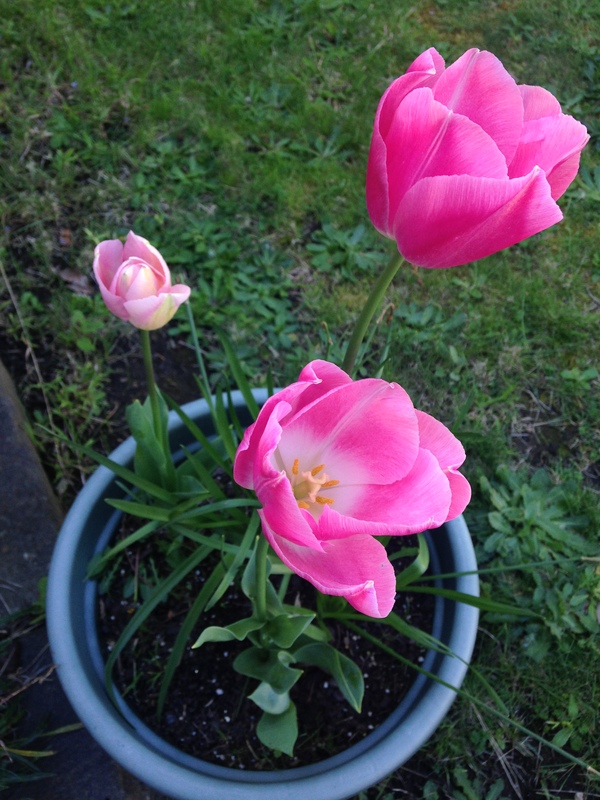 Posted in flowers, garden, photography and tagged australia, flower, garden, melbourne, photography, Tesselaar, tulip, victoria on September 13, 2015 by Fiona.